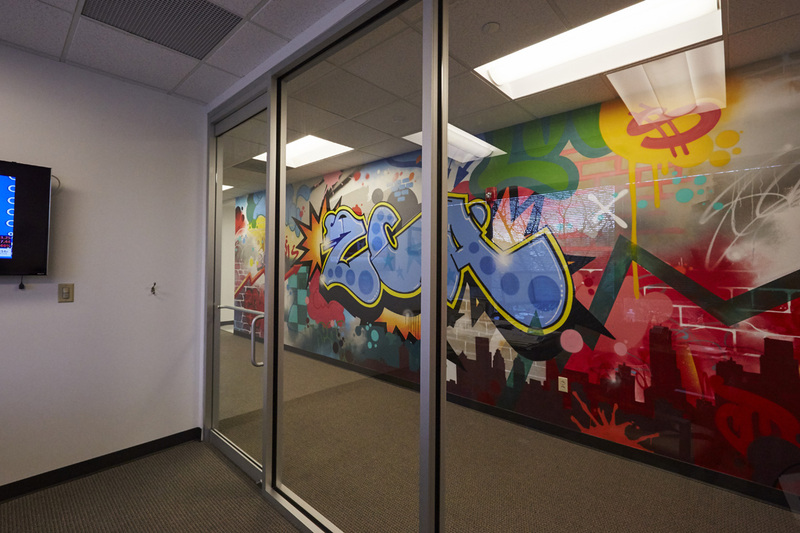 Check out the diverse murals for the folks at Rubicon! 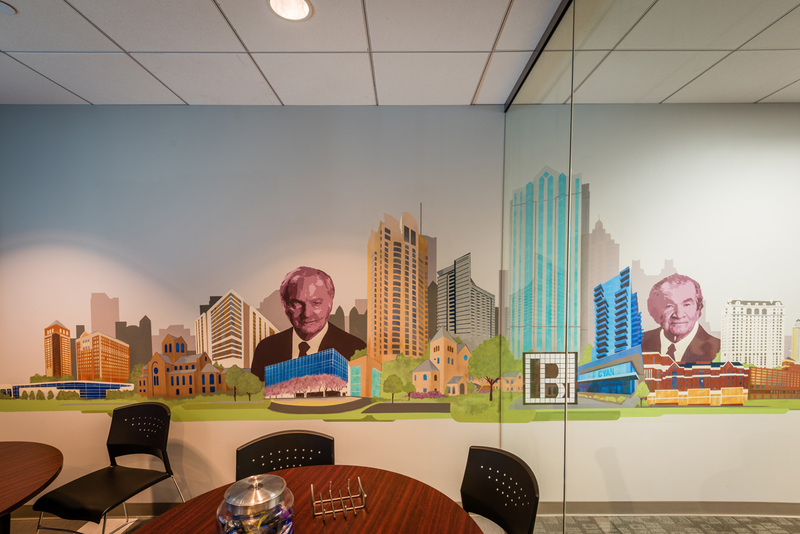 Armed with a powerful social mission, the team at Rubicon Global reached out to have us create original artwork murals for two main areas in their Atlanta corporate office. 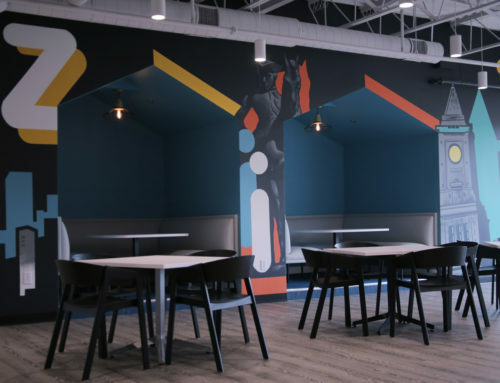 It was while working on the concept phase that our team, with Rubicon’s guidance, formed a clear direction for each mural. 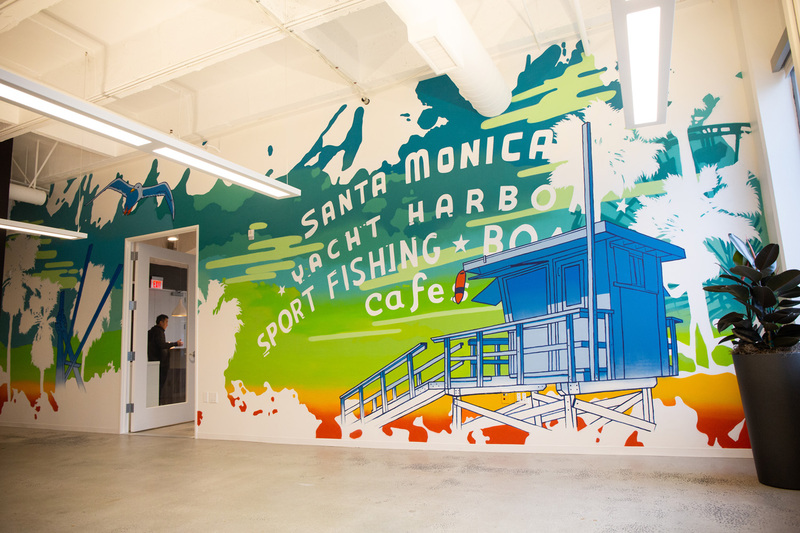 For the stairway landing mural the goal was to vocalize and amplify some of the messaging inspiring the Rubicon team members. 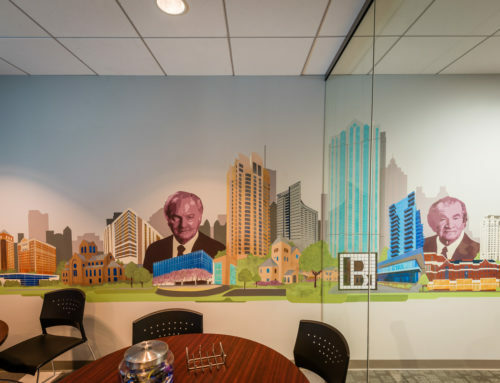 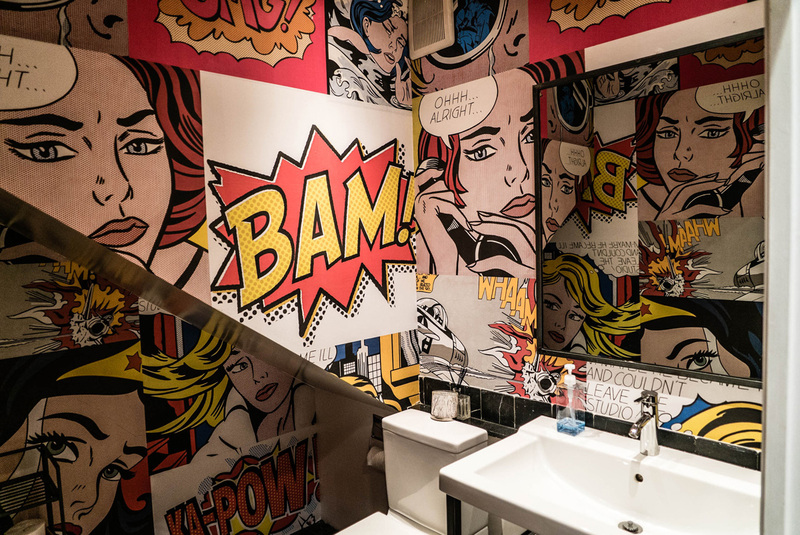 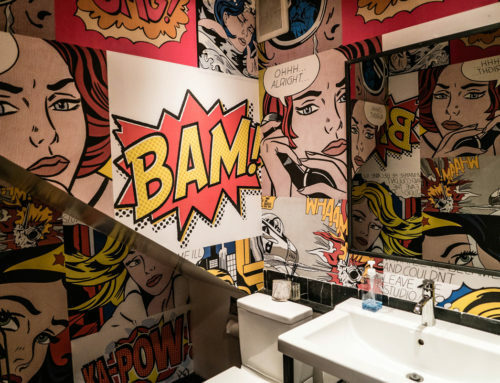 Painted in a retro, faux-chalk motif, the mural bullets key internal messaging. 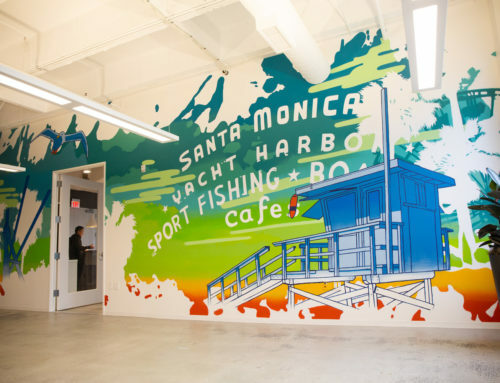 And unlike most chalk murals, the mural was painted with standard acrylic paints making it a permanent mural that can not smear or be easily wiped. 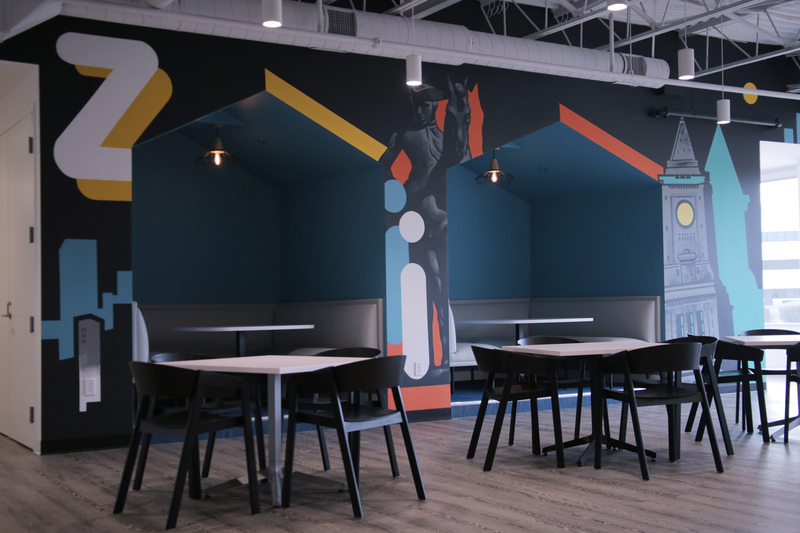 The larger mural that we painted is an illustration encompassing Rubicon’s story- yesterday, today and it’s bright future. 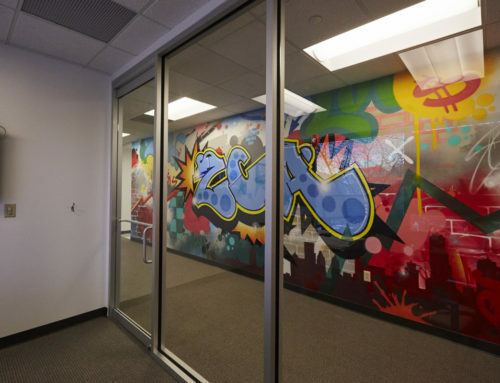 It was placed in the large open area where it can be highlighted for Rubicon employees and visitors.